YAY!!! Congrats Anita!!! Wooo hoooo!! Everything is super cute!!! Congratulations again, girlfriend! Thanks for bringing me with you! 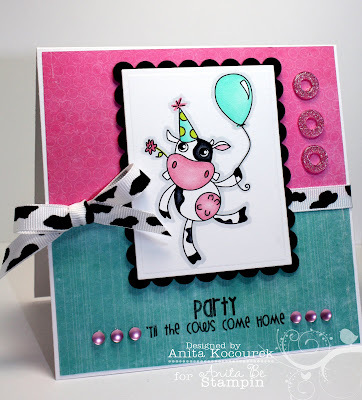 Super cute cards today too! I love that cow printed ribbon! 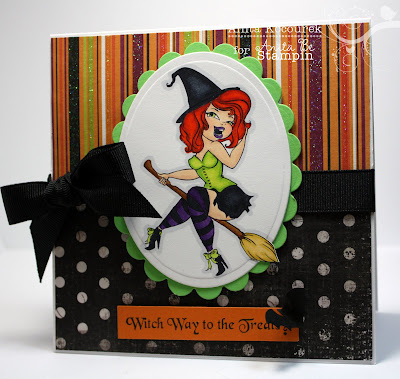 Pretty please, who makes the sparkly striped paper on your Broomhilda card?